Anatolian rugs are not just colorful textiles to throw on the floor absent-mindedly, they express thousands of years of refinement of design, advances in technique, complex developments in symbolism and know-how in producing the most beautiful rugs. 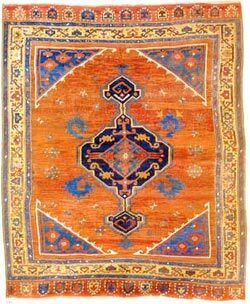 Anatolia forms the Asian part of Turkey, and today the designation "Turkish rugs" is synonymous with "Anatolian carpets." Hereke, Bursa, Kayseri, Konya, Usak, Gordes, Bergama, and Sivas are the most recognized rug centers but there are hundreds of rug-producing townships and villages across Turkey, where women quietly work at their looms in complete obscurity. In fact, women have done this for generations, their craft skills having been passed down through the centuries.